Welcome to your permanent luxury vacation! If you like feeling like your on vacation in a relaxing, quiet, luxurious estate then look no further! With your private culdesac and secluded backyard, your perfect staycation is ready for you. This move-in ready home features custom cabinetry and has been well maintained. Relax in your indoor pool that is an absolute dream in the summers and Michigan winters with an electronic cover. This home will not last and is a must see! There are plenty of windows to have natural light all day long. 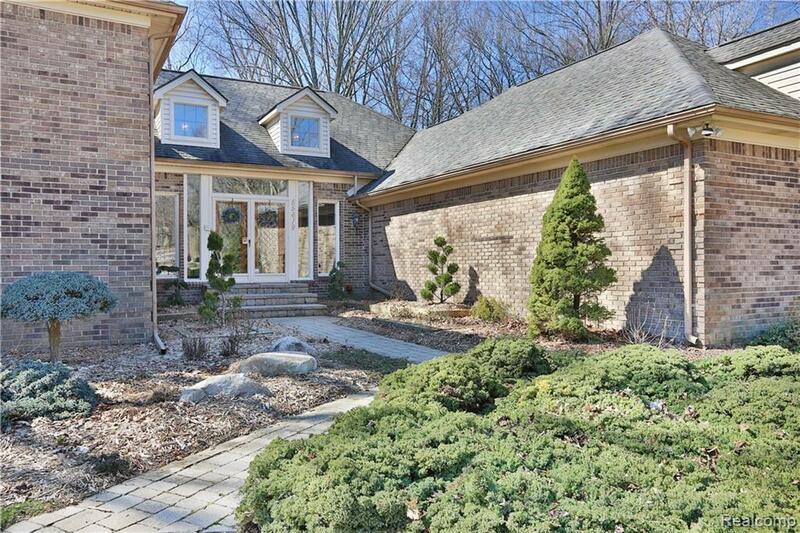 This home features 3 spacious bedrooms and 3 and a half baths. 2nd garage has a hydraulic car lift and a sauna in the basement. What more could you ask for? Its time to come home.